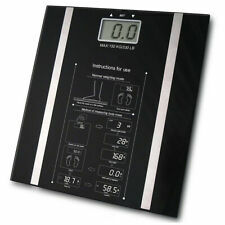 Showing results for "weight scale"
You wont be hiding these sleek and stylish precision scales in the bathroom cupboard. This Weight Watchers scale uses the latest technology for successful weight management. Large 33mm LCD display for a clear view. Maximum capacity 28st 8lb/182kg/400lb, with your choice of measurement in stone/kg/lb. Sturdy, impact resistant platform. Glass platform. Size H30, W30, D3.1cm. Batteries required: 1 x CR2032 batteries (not included). Capacity 182kg (28st 8lb). Suitable for hard surfaces. Weight 1.9kg. Manufacturers 15 year guarantee. This Weight Watchers scale uses the latest technology for supporting successful weight management. This Weight Watchers scale has a sturdy toughened glass platform and easy-to-read dial along with a 15 year extra peace of mind guarantee. Glass platform. Maximum capacity 180kg (28st 5lb). Size H30, W31, D3.1cm. Batteries required 1 x button cell batteries (included). Manufacturers 15 year guarantee. Argos.co.uk Weight Watchers Designer Precision Scale. 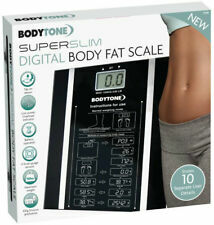 If you are trying to lose or maintain a healthy weight you need an accurate pair of scales to support you. This Weight Watchers scale uses distinct technology to support successful weight loss and management. It has a stylish slim design, max capacity of 28st 8lb, measurement in st / kg / lbs , and an easy read blue backlit display. This electronic scale has been made to weight watchers exacting standards by babyliss, using the latest technology, to offer you the most accurate measurements possible. Glass platform. Size H31, W30, D2cm. Batteries required: 3 x AAA batteries (included). Capacity 182kg (28st 8lb). Suitable for hard surfaces. Weight 1.5kg. Manufacturers 15 year guarantee. Over 50 yrs Weight Watchers have helped millions of people change their relationship with food, for good. Were here to help achieve success. This stylish weight only scale from WW is designed for an accurate measurement of body weight. It has a super slim platform, a great design, with high maximum weight capacity. Re-inforced glass platform and weight watchers reliability. Glass platform. Size H31, W30, D3.1cm. Batteries required: 1 x button cell batteries (included). Capacity 182kg (28st 8lb). Suitable for hard surfaces. Weight 1.55kg. Manufacturers 15 year guarantee. Over 50 yrs Weight Watchers have helped millions of people change their relationship with food, for good. Were here to help achieve success. This newly designed weight only scale from WW is designed for an accurate measurement of body weight. It has a super slim platform, a great design, high maximum weight capacity. This is the upgraded design of a popular weight only weight watchers scale. It is super slim and attractive for any bathroom. Glass platform. Size H31, W30, D3.6cm. Batteries required: 1 x button cell batteries (included). Capacity 182kg (28st 8lb). Suitable for hard surfaces. Weight 1.56kg. Manufacturers 15 year guarantee. Over 50 yrs Weight Watchers have helped millions of people change their relationship with food, for good. Were here to help achieve success. This fabulous weight only scale from WW is designed for an accurate measurement of body weight but has a brushed glass finish with an LED that only shows up when user steps on scale. How amazing is that; A beautiful scale - who would ever have thought it; At last a scale that is stylish and blends into your bathroom with ease. The hidden LED display only comes on when you step on it. . . Genius; So you only know its a scale when you step on it. Glass platform. Maximum capacity 182kg (28st 8lb). Size H31, W2.5, D30cm. Batteries required 3 x AAA batteries (included). Manufacturers 15 year guarantee. Over 50 yrs Weight Watchers have helped millions of people change their relationship with food, for good. Were here to help achieve success. These Extra Wide Glass Electronic scales have been designed with an extra wide platform for improved stability and super large screen for easy reading. And with a high weight capacity of 28st 8lb, and batteries included, these scales are perfect for all the family. Extra wide platform and super large screen make this scale super easy to use. Glass platform. Size H30, W34.5, D2.5cm. Batteries required: 1 x button cell batteries (included). Capacity 182kg (28st 8lb). Suitable for hard surfaces. Weight 1.75kg. Manufacturers 15 year guarantee.